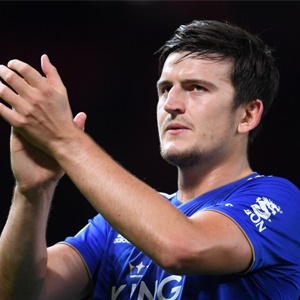 Cape Town - Leicester City are set to face a fresh battle to keep defender Harry Maguire from the clutches of Manchester United, according to reports. The 26-year-old was heavily linked with a move to Old Trafford last summer off the back of his impressive performances for England during their march to the semi-finals of the World Cup in Russia. However, then Red Devils' boss Jose Mourinho failed to secure the services of Maguire as he opted to stay at King Power Stadium where he penned a new five-year deal. But fresh reports are suggesting that United will make a renewed attempt to sign Maguire when the summer transfer window opens for business regardless of who is in permanent charge. Foxes boss Brendan Rodgers stressed his desire to keep players like Maguire at the club, but he admitted it could be difficult if big money is offered and the player expresses a desire to leave. He said on arrival: "All we can do is the work at the club that can convince the players to stay. There will always be opportunities, but we will deal with that when it comes. It's thought Leicester would command £50million for Maguire if United or any other club wants to sign him this summer.